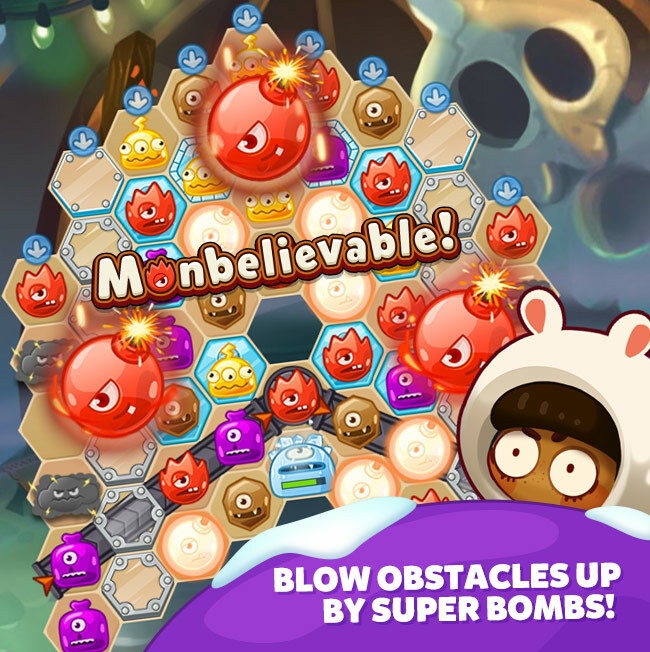 Monster Busters: Ice Slide is an incredible twist on match-3 genre, you need to connect 3 or more monsters on the boards consisting of hexagonal tiles to complete missions. 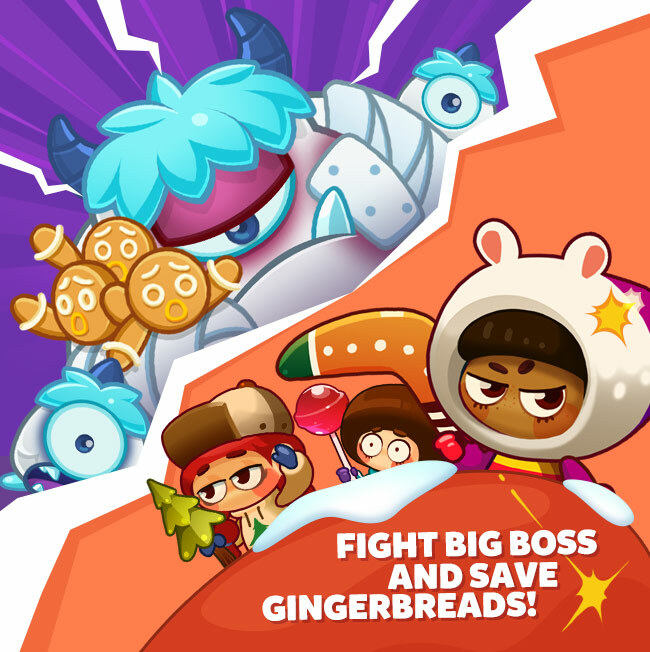 Start your explosively fun monster-linking adventure together with adorable kids Bruce, Boo and Namu and explore the wonders of the ice tower saving poor Gingerbread friends on the way to the top! 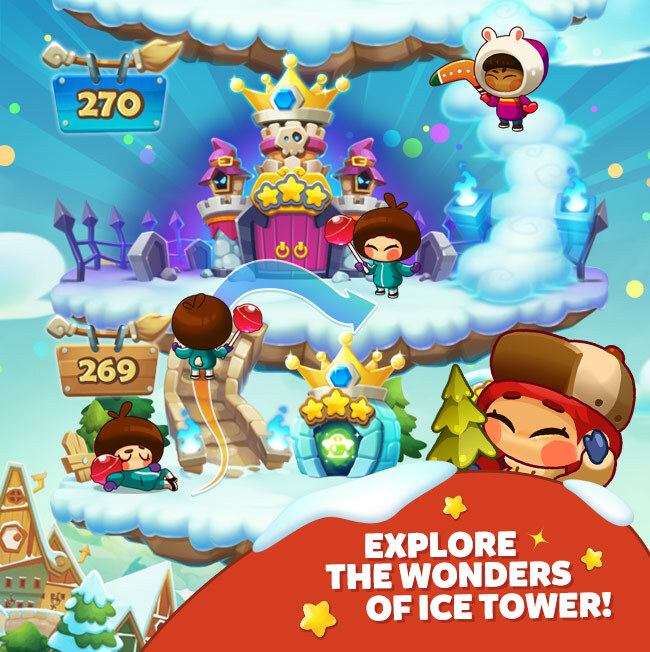 Monster Busters: Ice Slide was released in March 2017 on Facebook platform (PC) and is expected to be released on all mobile platforms by the middle of June, 2017. Unique Boss mission! 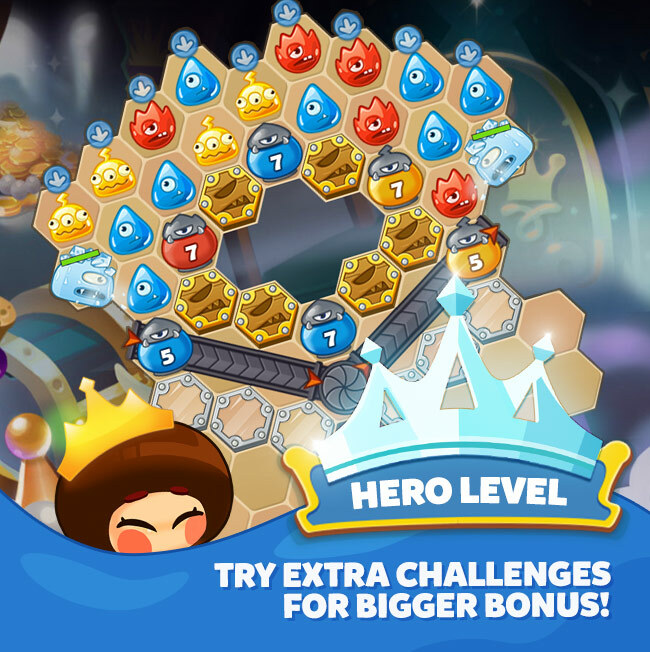 The Boss came together with its babies and you need to remove all of the babies from the board in order to defeat the big Boss! Just link monsters through the babies' claws and the longer you link the more damage babies get! Ouch! Super feature you should know about! Already connected monsters can be linked again and you will get Super Bombs at the intersections if you've connected 5 or more monsters! Cross-link as much as you can and nobody will ever bit your best score! Extremely cute Snow Bombs come to help you with your mission as you link's slide! 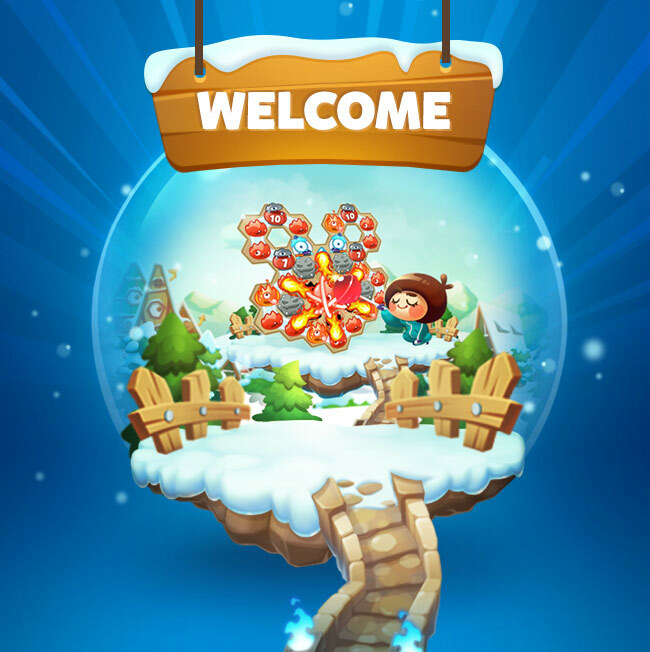 Connect 5 or more monsters and you will see Snow Bombs attacking mission targets or monsters! Making long connections is even more fun now with these good helpers!